You cannot burn something that is burned already. Overburn- yes perhaps. The burners are going all over the coast burning spots. Soon you will have the Jersey City crowd coming through in addition to the flushing buses. MA was far better. New York is experiencing it's last few years of fishery. Wait till the hippies show up, that'll be fun too. Most LI folks get upset about burning, so instead of yelling at some folks online on a thread that the hambres cant even read in, why not stop video footage of fishing altogether. I remember the days way back when you can go to the ocean and catch a nice flounder by jones ( and 20 more of them that same day).... Now you come up and I have no words what to say. Pure destruction. my point is that whether you show a tiny tree or a horizon of Connecticut with a lighthouse in the corner, people will find it. even saying eastern long island sound and fishing off greenport docks will give away the area. one rock might be stocked with sea bass, and the other might be empty. the days where you can just go and see your friends on the water are gone, because in between your boat and your friends boat, are 15 other boaters and kayakers. 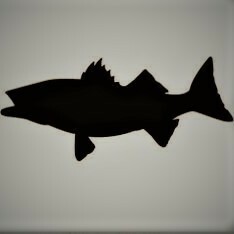 If it was catch-obey-the-law-and-release-or-keep, then it's a different ball game, however people just poach and usually it's the people who come from the west near the city who haven't seen good fish quality their. it's upsetting to see your area get demolished with outsiders, and right now I would say it's on the tipping point in the north fork. I feel as if he is just using the spots of local fisherman to run his business. In doing so, many locals will get upset, and once a crowd gets upset, they can usually revolt against the person doing the damage. In this case, people may argue that that person is myself. I cant agree nor disagree as there are arguments to both sides. If I was a third person, I'd just see myself as adding the fuel to the fire, but even without the fuel, the place will be burned. Why suffer countless weekends figuring out if the spot will be picked when you can already know its picked, thus forcing you to explore other areas. I can see my argument as stupid, too. Everywhere people go to fish for publicity will bring them publicity. They try to conceal it to keep selling their products. Imagine if JS had to advertise in Jamaica bay. It would be futile, because no matter the hook strength, no fish = no fish. It's free even for non resident in that spot. I wonder how J.Skinner can still fish this one boulder without getting spot mugged. You have 80iq. I explained to you that no one is ****ing buying. These houses are on the market for 1+ year. It means NO ONE BOUGHT these houses. There is zero sales in many areas. If a house is on market for one year or two years , does it get through your tiny skull that no one bought otherwise it wouldn't be on sale? Derp? Comprende? Im out again. I can't argue with this baboon. I'm not replying to anymore of whatever you say. You cant win with a retarded and instead of saying something at least half smart, you open your mouth and shYt starts flowing onto the keyboard. Goodbye. Learn economics. Yes, people in New York City like to live on top of one another,not so much in Long island or Jersey. And your taxes are going up because these bozos are moving into the city and are kicking the immigrants to the suburbs thus pushing pressure on your taxes. Look, there is no bidding war. Every house has a market evaluator. Whatever the evaluator says I will pay. People negotiate off the value price, not asking price. Asking price means nothing. Yes if you want to live there and absolutely need a house you will have to pay it or even higher, but these houses have been on market for over a year and absolutely no one is buying. literally,no one. Sellers have their heads in their asses thinking prices will go higher but rates vary inversly with price and they think that today is an exception to 100+ years of history. They are playing the waiting game and they will lose just like In 2009 during rising rate environment. They are waiting for December because I December the federal chairman will say he is increasing rates but they are HOPING that he doesn't. He already said for two years straight that he is raising to adjust prices AKA DROP THEM TO NORMAL LEVELS and these apes that bought in 2017 who thought this is a casino where you only win are mad. Do you guys understand WTH I'm even saying or am I talking to a wall here? These guys are trying to defy laws of economics and for past 100+ years laws of evonomics worked and these guys who can't count passed 10 think they are an exception. You guys should read up what leverage is. A lot of old folks who buy in cash think they are doing a good Deal. The works of the 80s don't work in debt based economy that we have in this era. With this kind of thinking you guys would be left in the dust if you were to buy all cash. Unless you flip, buying all cash is the worst thing you can do in low interest rate environment. In high interest rate environment like the 80s, it is the best thing to do, to buy all cash. No it isn't. Property is worth what the assement evaluator says it is. It's never what you think it is. Because you have 20 times leverage if you put down 5% and 10 time leverage if you put 10%. If you put 100% down you have 1 times leverage. It means the money you have acts x20 going upward and downward. In other words, for every dollar your house goes down, you lose 20 dollars. If your 100k house all cash turns to 200k , then every dollar makes two dollars. If you put in 5k down on a 100k house that turns into 200k, then your one dollar made 20 dollars, much more than the previous. Of course, you need to ensure the house you buy is covered with rent. So if the mortgage is 2700 for example, if you rent it out 1k per bedroom as is standard, then that 4 or 5 bedroom house after tax after everything will be slightly positive on income minus expenses. Maybe by about $500. Now the thing is if you don't do anything with that house and let it sit, year over year 9 percent over 30 years on average will let you a crap ton of money. So the difference is instead of buying all cash 1 house, you are better off putting 10% down on 10 houses and multipling BOTH profits and losses by 10. If you new York turns into Detroit, then you lose big time. If it doesn't, you win big time. Can you afford my car? I bought it for 10k and am putting it up for 900k. I don't think you can afford it. You can't get financing on forclosure. Welcome to NY. Also, buying in all cash is one of the dumbest things to ever do. Buy only with lowest down%.